Some of you may have noticed, I got a tad excited talking about the cocktail and shot glasses I found on my #intuMKBlogger Assignment. 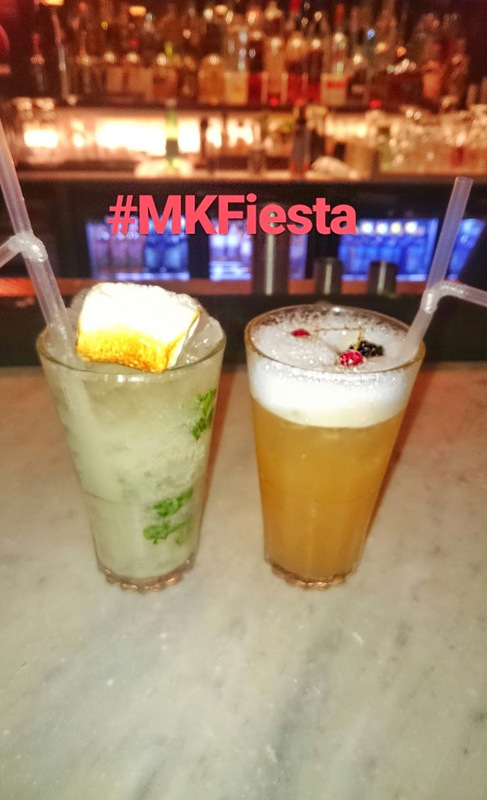 Well, when it comes to the party season or should I say fiesta, look no further than Revolución de Cuba Milton Keynes…. It’s no secret, I love a fiesta! 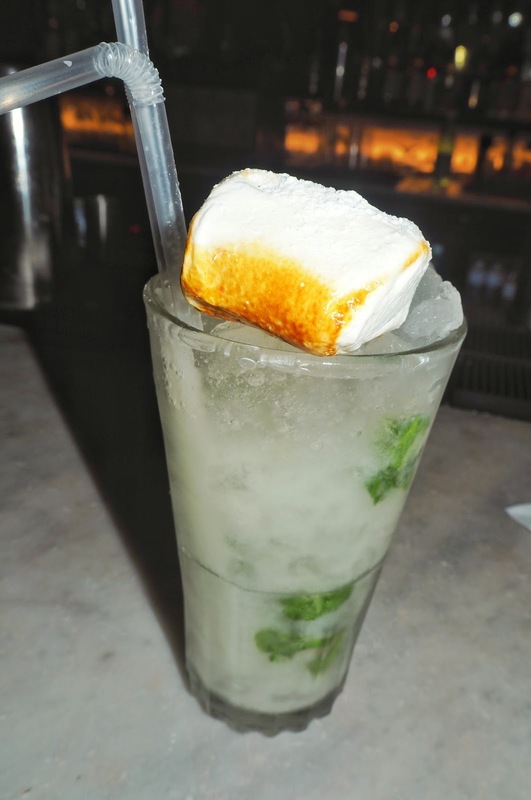 Having thoroughly enjoyed the Revs De Cuba (as I like to call it) First Birthday Fiesta in October…was it really that long ago?! Dancing to the sound of ole ole, sipping cocktails and watching a train of party goers dance that Cuban beat – I remember it like it was yesterday! Where better for the #MKBloggers Christmas party?! Attendees were given a welcome drink on arrival, time to mingle before settling down for the Mostrador buffet menu. 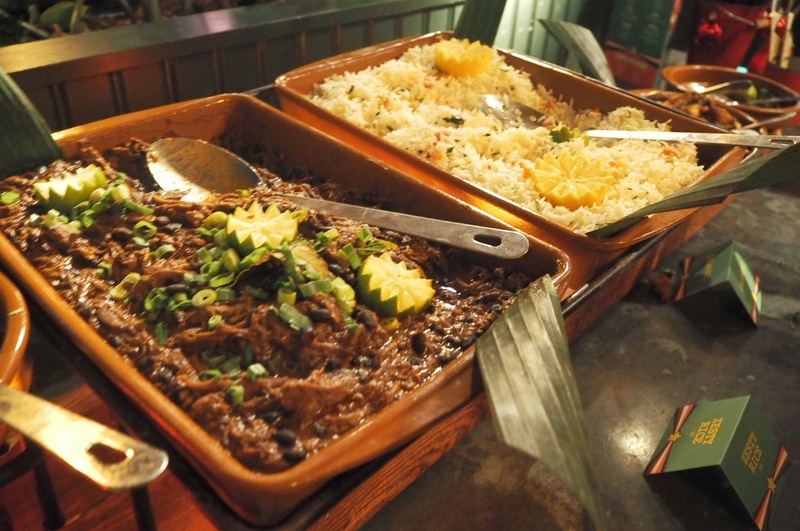 The Mostrador includes dishes such as beef brisket chilli served with rice as well as some of my favourites such as calamari and ham croquettes. 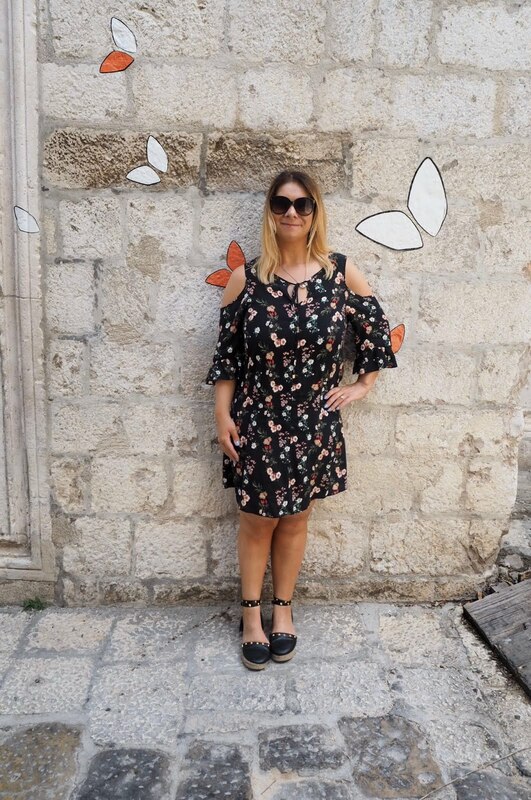 The event organised by Sophie Davis of Sophie’s Suitcase, was the second MK Bloggers event following the Bloggers Brunch in the Summer (read here). Having seen and met up with a few of the attendees since the Bloggers Brunch, which was my first meet-up; I felt a bit more confident this time around. 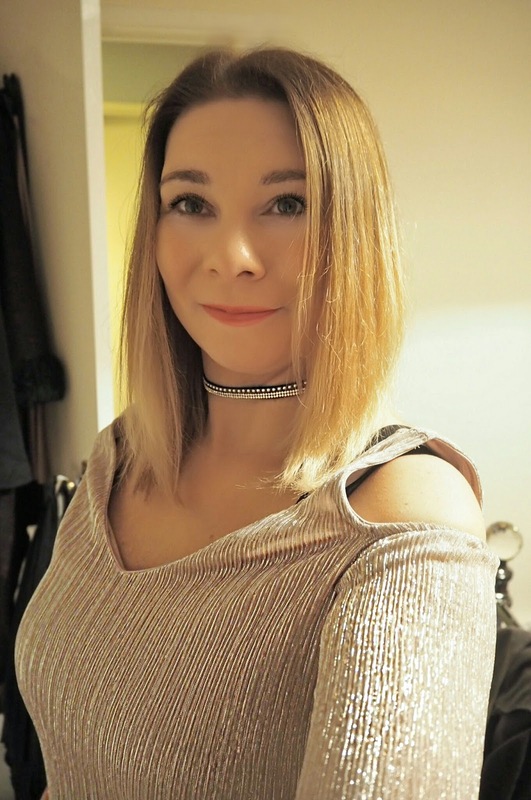 These events are ideal to enable local bloggers to socialise, dress up, unwind for Christmas and it was great to see new as well as familiar faces at the Christmas Party Event. 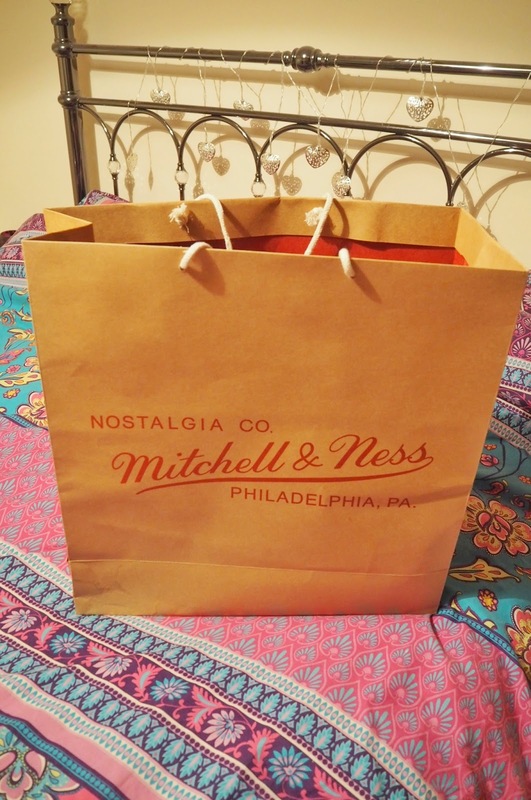 Not only do events like these offer a great chance to meet and mingle with other bloggers, goody bags are given out with offers for many local and national brands, ideal for upcoming blog posts. After the #MKBloggersBrunch I couldn’t wait to use my £15 off meal at The Swan Salford and visited twice more since. 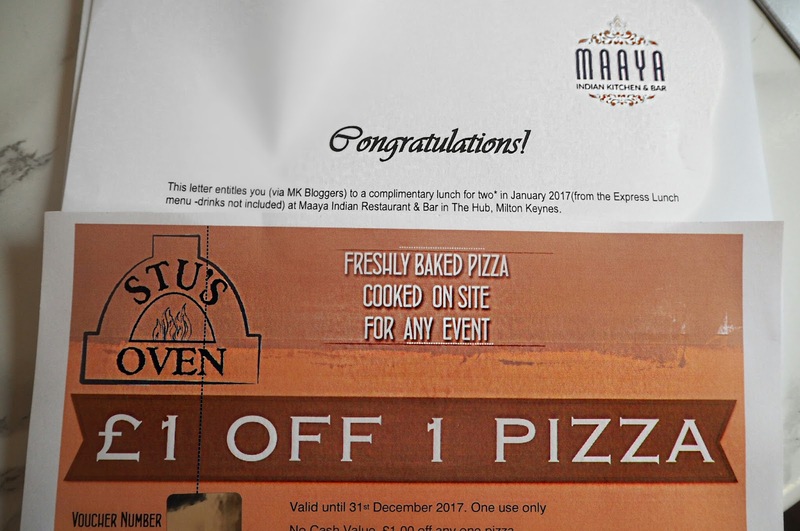 This time the MK Bloggers goody bag contains a meal voucher from Maaya Indian Restaurant, which I must say I can’t wait to try as I’ve heard great things about the restaurant, a finalist in The British Curry Awards. A £1 off a pizza at Stu’s Oven was also included and I couldn’t help but notice they are located on my estate in Milton Keynes – can’t wait to try their pizzas! 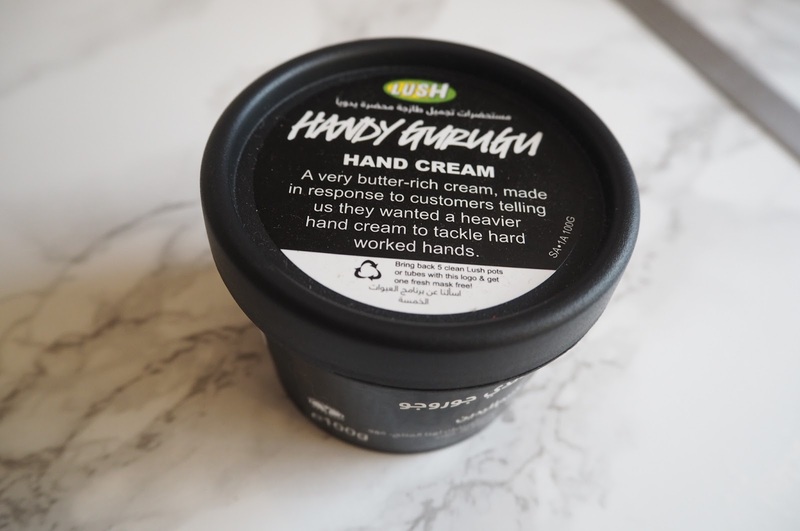 Lush is a brand who have featured in a number of my posts as I absolutely love their products. I could literally spend hours browsing their bath products and with the help of Molly from the Lush MK store I recently picked out items for my blog giveaway. Needless to say, I was chuffed when I spotted a Lush hand cream in my bag. 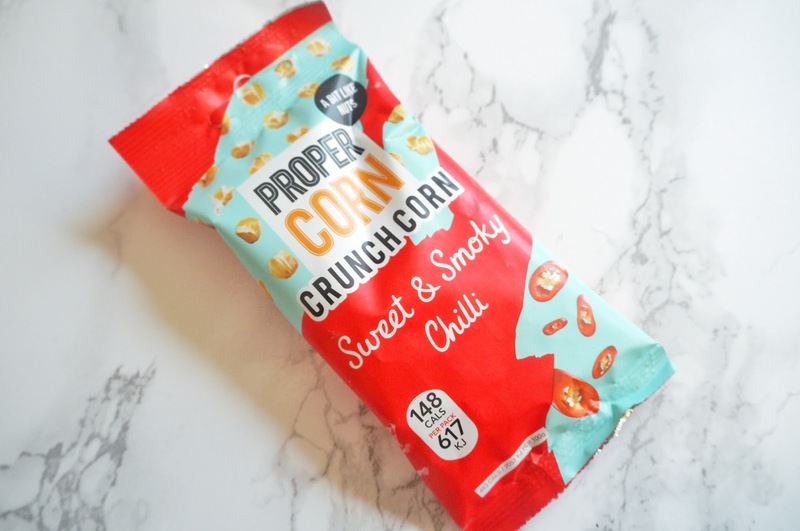 Foodie items including Mr & Mrs Fitz Garlic + Ale Mustard Dip (ideal for the work Christmas buffet) and Propercorn, low calorie popcorn which I always steal from my work mummy Sue (I suppose I’d better share this with her) were nice additional items. 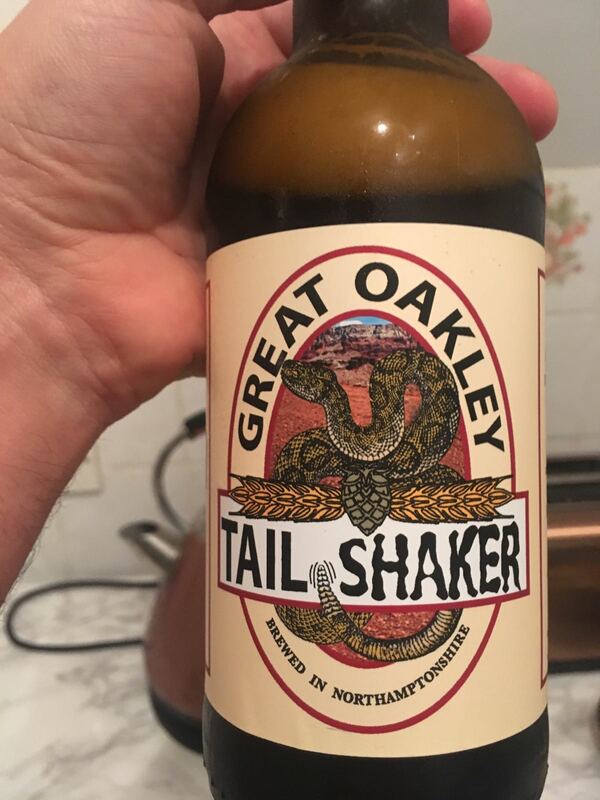 With regards to the Great Oakley Tail Shaker ale brewed locally in Northamptonshire and gifted by MK Biergarten, I didn’t get a look in as this was quickly devoured by Adam when I got home! 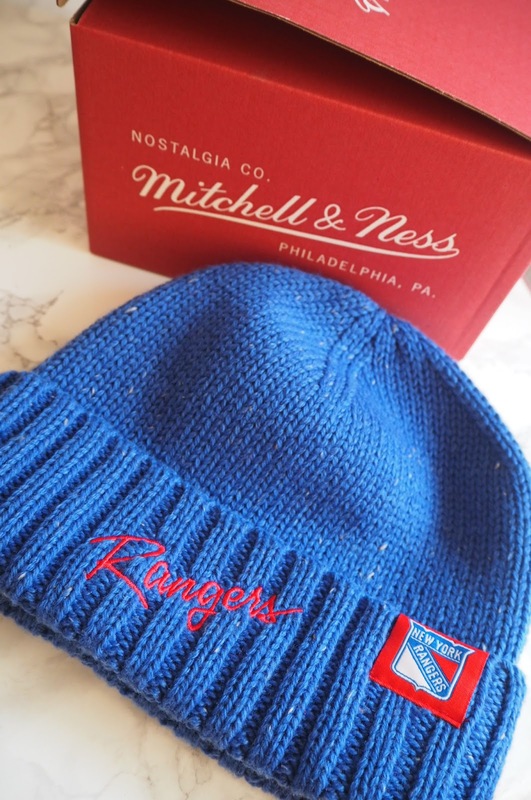 Instantly drawn to the huge Mitchell & Ness box, I was pleased with the blue New York Rangers hat contained within. New York has a special place in my heart and I’m already planning my next trip, I can’t wait to wear my hat and hopefully see a game when I’m next in The Big Apple. A gift I was particularly pleased with was for a relaxation day at Floatation Life and this relaxation treatment may be just what I need to unwind after Christmas. 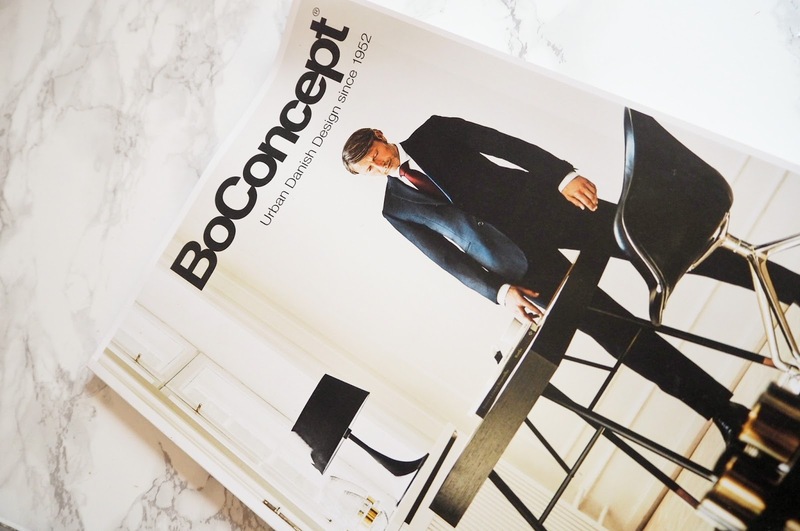 Particularly, as I am planning a bit of decorating and possibly buying new furniture, thanks to inspiration from Bo Concept. 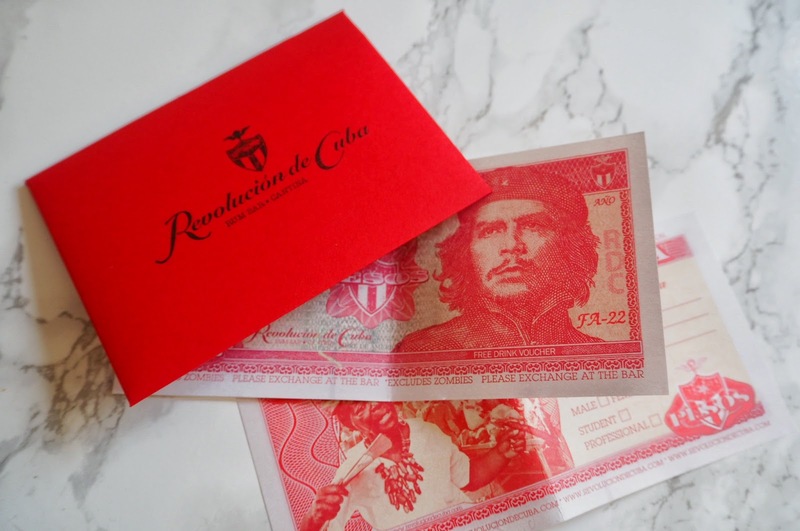 They’ll be no opportunity to sing ‘no soy no dinero’ when I’m next at the bar as Revolución de Cuba as also included in the goody bar were two free drinks vouchers! On Sundays Revolución de Cuba offer 241 on their tapas and cocktails, with Amanda and I keen to try the new Christmas cocktail selection. 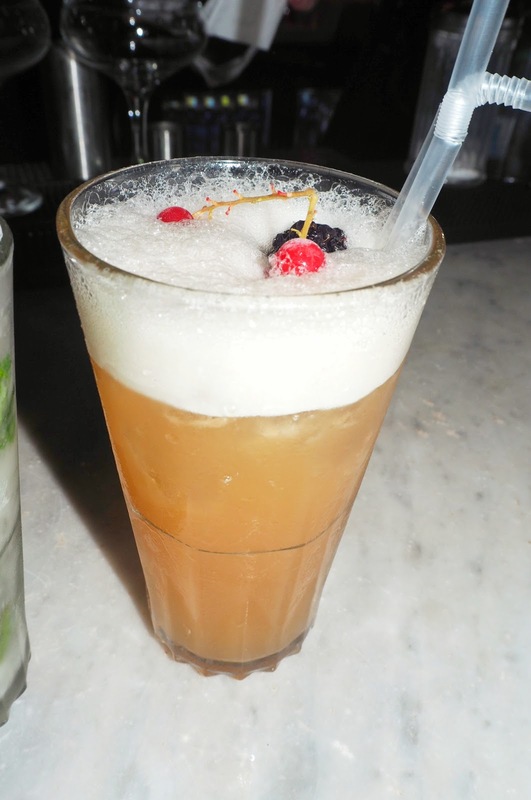 Somebody call Elf & Safety…so naturally Amanda did, in cocktail form of course! We tucked into the appetising Mostrador buffet, shared blog stories with the bloggers on our table and before we knew it it was time for another cocktail! Next on my list would have been the Gingerbread bellini, being my favourite choice of flavour for the winter season. Though, luckily Amanda ordered it so I got to try hers (it was a Sunday so with work the next day, I couldn’t possibly try all the cocktails on the menu!) 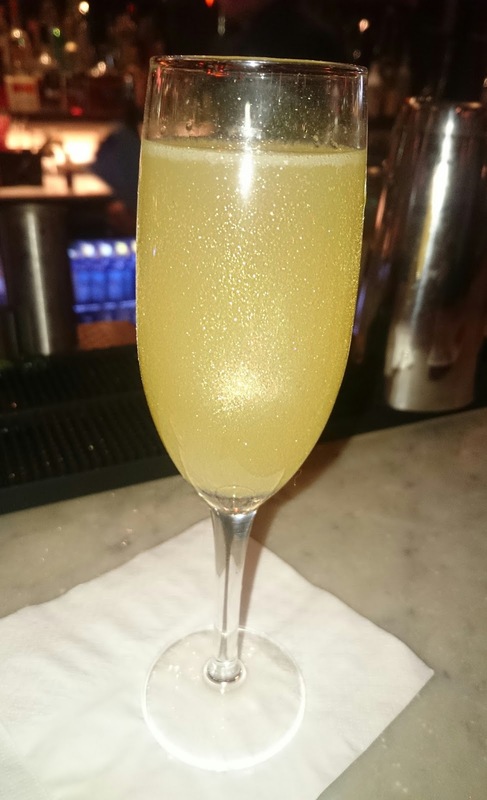 Beautifully presented in a flute glass sprayed with glitter, the Gingerbread bellini sparkled in the light,making it one of the most festive looking cocktails on the Cuban Christmas menu. The event certainly put me in festive spirit! 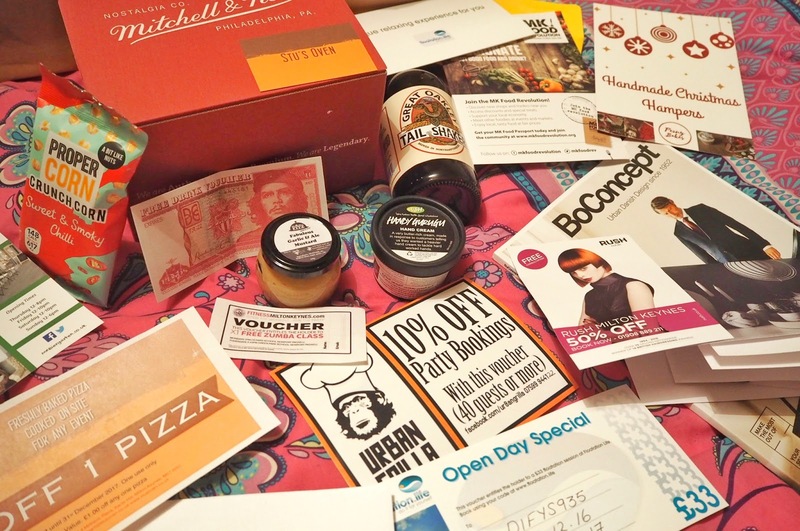 Thanks to Sophie for organising the event, Revolución de Cuba for having us and all the brands contributing to our goody bag.